1964 Harley-Davidson Servi-Car GE. Wikipedia. Submit more pictures. 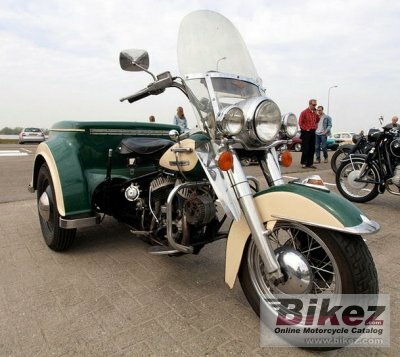 Modifications compared to previous model: The 1964 and later models has an electric starter. Ask questions Join the 64 Harley-Davidson Servi-Car GE discussion group or the general Harley-Davidson discussion group.